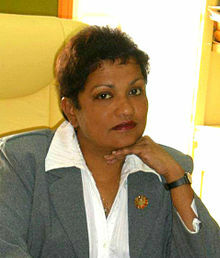 WILLEMSTAD - The President of the Caribbean Ombudsman Association (CAROA), Ms. Alba Martijn, Ombudsman of Curaçao, has on behalf of the Association strongly deplored the recent brutal assassination of Miss Dana Seetahal of Trinidad and Tobago in that nation’s capital. “We are shocked beyond words”, Ms. Martijn said in a statement released today, “that anyone could take the life of such a young, fearless champion of good governance, human rights and justice, values that all ombudsmen hold dear and promote. We recall that Miss Seetahal took part in the sixth biennial conference of the CAROA in Curaçao in 2010 and presented a paper on the topic ‘Recognising instances of Integrity Violations’, which helped to set the tone for the rest of the conference whose theme was ‘Integrity: the foundation of good governance’. “The CAROA Council and its members join the rest of the region in expressing great sadness as well as outrage over the loss of Miss Seetahal in this manner, and praying that the perpetrators will be brought to justice. Our thoughts are also with her co-workers, family and friends”, the statement concluded.